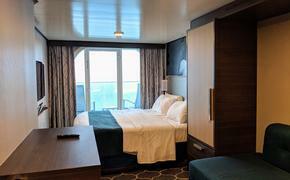 Princess Cruises’ newest ship, the Royal Princess, made its North American debut on Oct. 27 and began its season sailing from Port Everglades in Fort Lauderdale. The ship’s North American season starts with a five-day maiden Caribbean cruise on Oct. 29, followed by a program of seven-day Eastern Caribbean sailings to Princess Cays, St. Thomas and St. Maarten. Royal Princess will sail from Fort Lauderdale through April 20. The ship then will cross the Atlantic to offer a summer season of Scandinavia and Russia cruises.